SOS Club founder and International Academy of Consciousness volunteer-instructor specializing in out-of-body experience and subtle energy voluntary mobilization to present at 35th Conference of the IIIHS in Montreal, Canada on July 18, 2010. October 2009: Science of Self Club founder, Nelson Abreu, currently an instructor at International Academy of Consciousness was interviewed on the out-of-body experience on Vlad Moskovski's Meditation Secrets Revealed blog. September 2009: Science of Self Club founder returned to University of Florida to lecture at Dr. Barbara Welsch's PSY 4930: Introduction to Consciousness Studies on PEAR/ICRL consciousness-related anomaly research. Patricia Ribeiro of International Academy of Consciousness also presented on the Consciential Paradigm and out-of-body experience research. July 2009: New book by ICRL Press features chapter by Science of Self Club founder. Edited by Zackery Jones, FILTERS AND REFLECTIONS: PERSPECTIVES ON CONSCIOUSNESS, is an anthology of nineteen essays by members of the International Consciousness Research Laboratories consortium reflecting on the seminal work, reprinted in this book, "Filters, Sensors, and the Source of Reality" by the heads of the former PEAR Laboratory Brenda Dunne and Robert Jahn. Enjoy! And look for the chapter on out-of-body experience and multidimensional filters by Nelson Abreu. SoS Club Founder and now IAC instructor Nelson Abreu and IAC volunteer Manori Sumanasinghe discuss "Consciousness and Architecture" at Miami-Dade College TV's ArchForum, hosted by Lyle Culver, Assoc. Prof. at MDC School of Architecture & Interior Design (First 28 minutes of video). 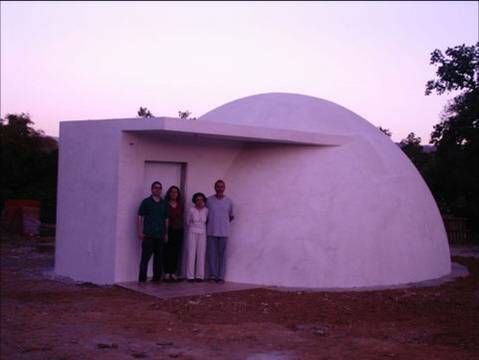 NOVEMBER, 2006: The Earth's first facility designed to facilitate and research out-of-body experiences was inaugurated in the first European campus of consciousness research and development. Find out more about THE PROJECTARIUM. 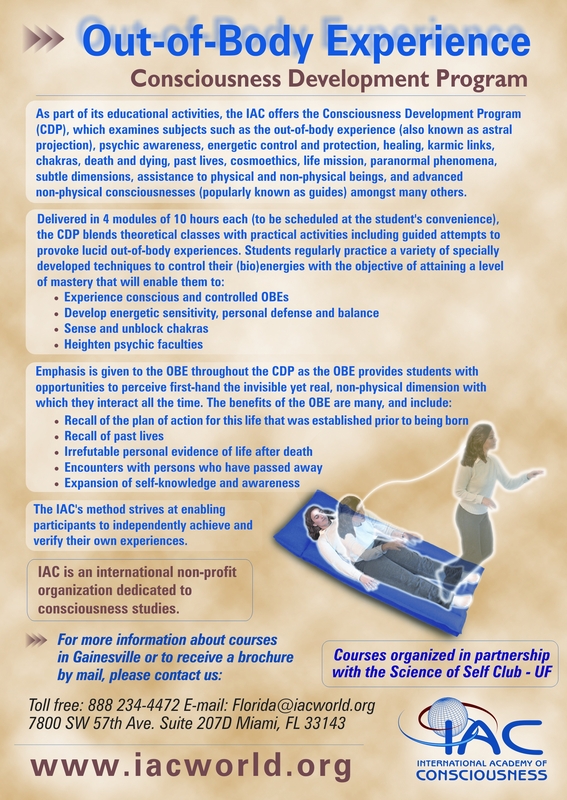 FALL 2006, OBE TRAINING: The IAC-Miami and its Consciousness Development Program returns to Gainesville for the 3rd year! We have had folks come from all over North/Central Florida (Orlando, Tampa, Jacksonville, Tallahassee, Gainesville, and Ocala), even Atlanta, to learn how to have more frequent, controlled, conscious, recalled, and productive (educational, self-investigative or assitantial) out-of-body experiences . Several students have had their first intentional out-of-body experiences and have felt bioenergy (chi) for the first time as well, in class and by continuing the training after taking the course. The Science of Self Club endorces the CDP for helping raise intellectual self-defense (omni-questioning) and the *practical* (lived) multi-level, self-awareness of residents and some of the future social and scientific reformers of the world at the 4th largest college in the US. Fear is a WMD (Weapon of Mass Deception). Knowledge is the antidote of fear. Knowledge comes from experience. One innefable experience is worth more than a thousand theoretical words. Omni-questioning is intellectual self-defense. Have you questioned the paradigms that frame your life and our societies? Note: The IAC is a volunteer-based, 501(c)3 non-profit. Over 200,000 students have taken the CDP in South America, USA, Mexico, Europe, Japan, and Australia. Prices: At the door $96/weekend. For logistical reasons, EARLY REGISTRATION ENDS SEPTEMBER 31! The International Consciousness Research Laboratory (ICRL) has released a historical CD/DVD course about the two decades of rigorous scientific investigation and theoretical development at Princeton University on matter-consciousness interaction and remote perception. For only $60, you can add to your library 9 hours of insightful lecture, a laboratory tour, and conversations between Dr. Jahn and Brenda Dunne - pioneers of the science of consciousness, and more. If you are interested in taking this course in Gainesville, we can organize a screening with the OK of ICRL. For a preview, click on "The PEAR Proposition." One of Young Investigator Program's newest members, Ryan Hunt (University of Georgia) has expressed his intentions to start a student club in Athens, Georgia. He has just returned from a biophotonics training summer program led by Dr. Fritz Popp in Germany. We were excited to meet students from Dr. Modell's consciousness course (University of Colorado), bright and ready to conduct pilot studies, have "multidimensional" experiences, and raise awareness of this growing field. The International Consciousness Research Laboratories (ICRL) is a 501(c)3 non-profit consortium of consciousness research and scholarship. ICRL president and mentor of the SoS has recently welcomed several of our own to join the group: SoS advisor Dr. Barbara Welsch; Vincent Herzog, SoS Club founding member, Ashlee Valdes, Scientific Committee chair and VP; Colin Rackleman, SoS president; Chris Romero; Scott Flag, former PSY 4930 student and long-time collaborator of parapsychologist Dr. Andrew Nichols. 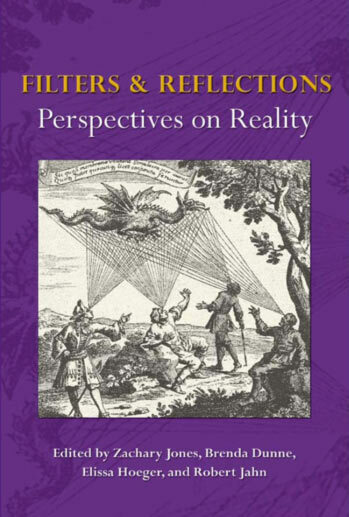 Vincent Herzog, former president of the Undergraduate Philosophical Society at UF, is co-editing a book for ICRL - an anthology of essays reflecting on the PEAR Laboratory's essay "Filters, Sensors, and the Source of Reality." The Science of Self Club participated once again of the Meeting of the Society for Scientific Exploration. This year (25th Edition) along with two presentations from University of Colorado (four students from Dr. Modell's consciousness course): Nelson Abreu's "Punctuated Progressive Relaxation OBE Technique: Toward a Participatory Science of Multidimensional Experience"; Pedro Machin and Nelson Abreu's "Consciental Asymmetry: Toward a Non-Reductionistic Framework and Ontology of Brain Function Laterality"; and Liz Kendall et al's "The Effects of genetically healthy and weakened Caenorhabditis elegans on a field Random Event Generator (REG)." In 2005, Nelson Abreu (UF) and Mike Lydon (CUNY-Queens) represented the SoS at SSE for the first time. Feature on SoS founder in Goa's "O Heraldo"
Scientific Studies of Consciousness, U Mass. Much accomplished in 2 month's worth of research over a lenght of a century. Marilyn Schlitz and Wiseman's remote staring / DMILS experiment with "psi missing" / experimenter's effect. Distant healing; Science & Spirituality by Marylin Schlitz, Elizabeth & Russell Targ, and others. Provided by IONS. IAC - Spain releases IACcelerate Your Evolution series of shorts on consciousness studies in Portuguese, English, and Spanish. COMING UP: Student work by Anthony Cortez, Ashlee Valdes, Timothy Conway, Mike Lydon, Colin Rackleman, Liz Kendall and Nelson Abreu. Vincent Herzog and Nelson Abreu have contributed a chapter each to the upcoming ICRL essay anthology; on the I Ching and Out-of-Body Experience, respectively. Each essay develops ideas from a particular vein in Dr. Robert Jahn and Brenda Dunne's seminal essay "Filters, Sensors, and the Source of Reality." In addition, Herzog is co-editing this much-anticipated book. SSE 2005 in the media included an article in "Prism Magazine"
" Moddel, who has degrees from Stanford and Harvard, says he decided to venture into terra incognita and perform research on paranormal phenomena—precognition, telekinesis, clairvoyance—after reading some of the literature and finding it convincing. He’s published a paper that concludes that such phenomena may be consistent with the second law of thermodynamics. And this spring at Colorado, for a second year, he’ll teach an honors course called Edges of Science that urges students “to distinguish fuzzy thinking and an irrational response to new scientific concepts from a healthy skepticism.” "
The Third edition of PSY 4930- Consciousness Studies at UF is on for Fall 2006. Sponsored by UF Center for Spirituality & Health. The course was created with the assistance of the Science of Self Club. SciSelf@UF alumnus, Vincent Herzog, to co-edit an anthology on consciousness studies based on PEAR's "Sensors, Filters, and the Source of Reality." 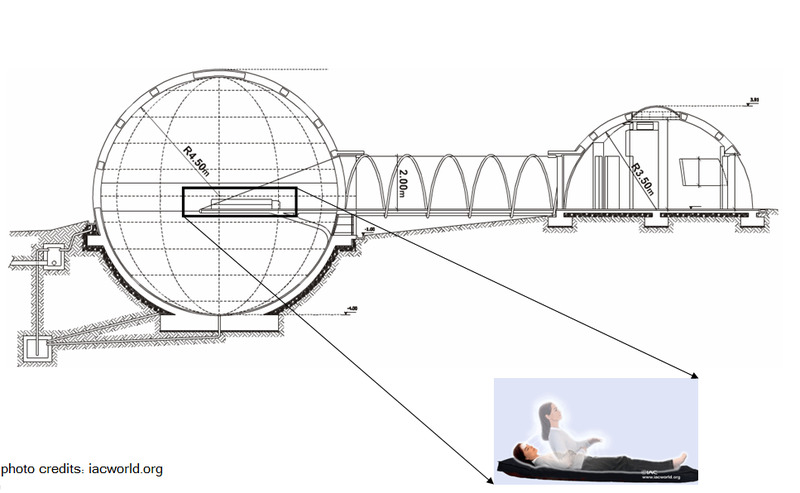 Ashlee Valdes to cooperate on PEAR/ICRL consciousness-related engineering anomaly research project "Fantasya." This summer, Michael Lydon and Nelson Abreu spoke at the 24th Annual Meeting of the Society for Scientific Exploration. There was a (rather slanted) report on TIME magazine. New SciSelf Club branch is formalizing at UVSC, Utah from a discussion group led by SSE councilman John MacLean, PhD. Dr. Waldo Vieira's newly translated tome "Projectiology" was recommended for graduate students interested in consciousness in a review published in the J. of Parapsychology. THE PROJECTARIUM in southern Portugal will be the first structure in the world especifically designed to faciliate out-of-body experiences. 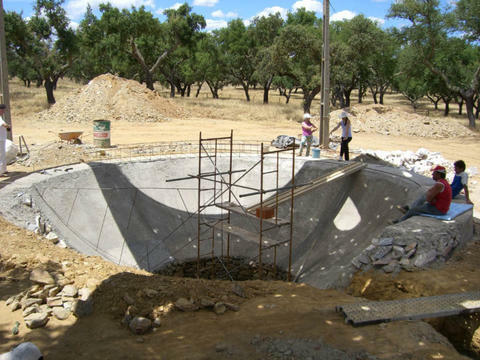 Half of the main sphere is already built with donations from over 150 individuals from Brazil, Australia, Europe, and the USA. Contact florida@iacworld.org if you are able to donate or if you would like to donate books for Europe's first campus of consciential research, in operation since 2000. The projectarium will be the most eye-catching of the consciential laboratories at the campus. 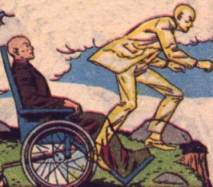 The three hours of Waking Physical Immobility Laboratory is up and running with users reporting an outstanding energetic field. The first laboratory (Waking Physical Immobility) and some support buildings are already built. Contact to help build the Projectarium and other labs. The Sense of Being Stared At - Scrutinized In this special edition of JCS Rupert summarises his case for the 'non-visual detection of staring'. His claims are scrutinised by fourteen critics, to whom Rupert then responds. Dr. Rupert Sheldrake invites you to try an ONLINE EXPERIMENT. Special Edition of the J. of Conscientiology (N. 26) on the Intermissive Period (period between lives) or Intermission, a critical but widely under-published topic even in non-materialistic camps. There are few other titles on this topic that we are aware of: Retrocognitions: An Investigation into Memories of Past Lives and the Period Between Lives by Wagner Alegretti; Our Evolution by Waldo Vieira, MD; Projections of the Consciousness, Waldo Vieira, MD; Journey of Souls: Case Studies of Life Between Lives by Michael Newton; and Life Between Life by Joe Fisher, Joel Whitten; the most recent and most scientific thus far (a tip of the hat to) Jim Tucker, MD from University of Virginia ("Life Before Life"). THIS WEEKEND (Sept 10 & 11): The CONSCIOUSNESS DEVELOPMENT PROGRAM returns to Gainesville with experienced instructors and sensitives-projectors Rodrigo Medeiros & Patricia Sousa from the International Academy of Consciousness. Don't miss out on your chance to learn more and practice in a special setting how to control your energies and develop the ability to have lucid, controlled, will-induced out-of-body experiences to increase your self-knowledge, integral maturity and awareness! Early registration (50% off for students) is open for the Consciousness Development Program. Last semester we had 20 students who experienced clairvoyance, out-of-body experience, retrocognition, bioenergy sensations, and discussed about reincarnation, levels of evolution, spiritual guides, cosmoethics, bioenergies in daily life, etc. The course is about half theory (class, discussion) and half practice (practical exercises of clairvoyance, astral projection, and energy work). It adopts a more scientific and personal experience-based approach to psychic phenomena and spirituality. We are partnered with the Unity Club, Knowledge Within, and Gainesville Buddhist Association and other science and spirituality clubs at UF to promote “Unity through transcendental experience”. Supported by UF's President Machen and sponsored by local philantropists and UF’s ACCENT speaker bureau. This opening edition is dedicated to Gandhi, whose birthday we’ll celebrate on October 2. “You must first change yourSELF, if you want to see that change in the world! Take a look at the incredible line up of speakers and workshops! Seating is limited! Contact us (352-262-9181) to reserve a seat! Fly-In Contest 1 - CHECK THE RESULTS! 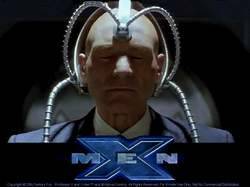 Cinescussion - IONS presents: "The Mind in Matter" - Modern Psi Research video presentation. Coming this February. Four Avatar Masters to introduce the personal development approach at UF to help you create the life you choose! University of Arizona "Toward a Science of Consciousness"